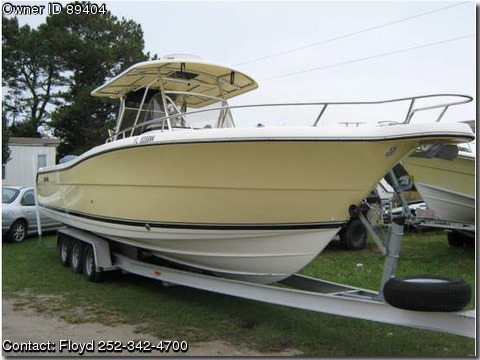 2007 PURSUIT 300 Open , Center Console powered with a pair of Yamaha F250s. 62 hrs. and Factory warranty through 2013. Icludes Raymarine E120 GPS/Map/Plotter/Radar/Sounder, Clarion stereo system with remote, Yamaha command Link, SS wheel with knob, Hard top, Deluxe leaning post with backrest and rocket launchers, outriggers and an aluminum trailer.